In electronics assembly, big data and digitization include real-time collection of all production data, material data, equipment performance, as well as component, process and quality traceability data. Optel provides manufacturing intelligence dashboards and reports that include: materials dashboards, status of each released work order, historical work order completion report, historical plant production report, live OEE calculation per machine, line and plant, and quality dashboards. Optel provides real time performance monitoring. For example, performance of every pick and place machines is monitored in real time by hour, shift, day, month, etc. 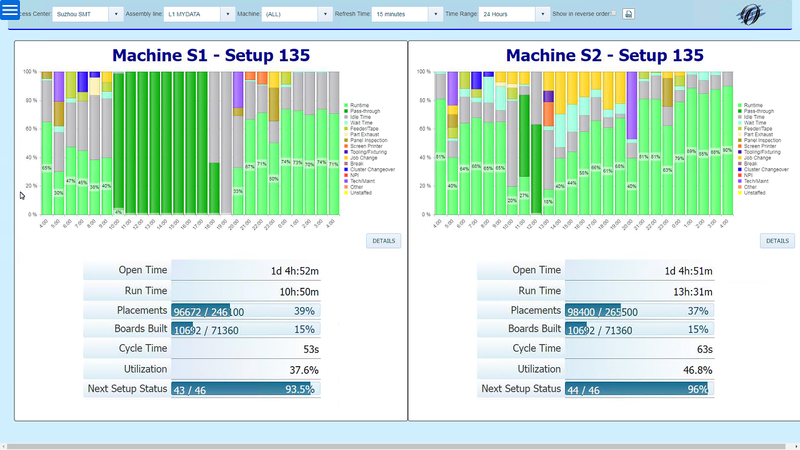 Machine run time, setup time, and down times are captured and displayed. In addition, current job status and next kit status are also monitored. Downtimes are captures including reasons for downtime. Downtime Pareto charts can be displayed. 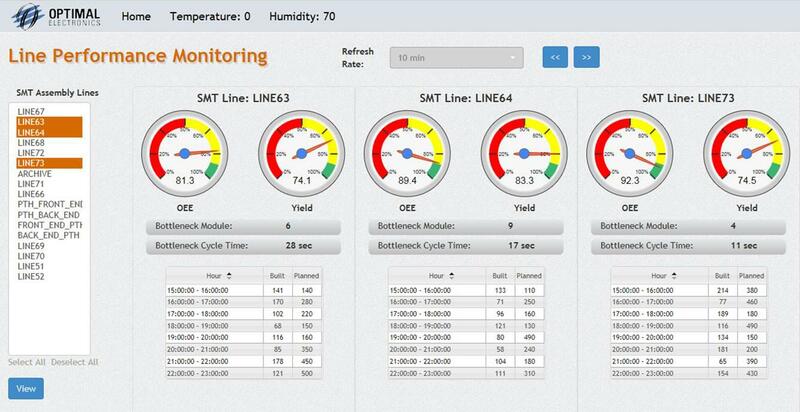 In addition to displaying real time machine performance to operators and process engineers, a dashboard that displays OEE by line and hourly through can be used by anyone in the plant. Machine bottleneck and its cycle time are displayed and used to calculate production run times. Complete insight in plant performance. Real time performance monitoring allows for quick response to production problems. Production planning and scheduling decisions are made based on current data. Reduced labor and waste spent on manually entering production data. Instant feedback to production on how they are doing increases productivity.